New York- Morocco is experiencing a cultural and economic renaissance that will have a huge benefit for its own population and the wider region. New York– Morocco is experiencing a cultural and economic renaissance that will have a huge benefit for its own population and the wider region. Poised to assume a leadership role in Africa, Morocco has made great strides toward providing medical aid to underserved constituencies, implementing educational reform, creating durable economic development and delivering strategic humanitarian aid. Morocco’s internal reforms will benefit the country’s development by addressing existing shortcomings directly and forcefully. This head-on an approach is expected to inspire confidence among domestic and foreign investors. For example, the Ministry of Education recently announced a major overhaul of Morocco’s widely criticized educational system. The plan includes constructing nearly 2,000 new classrooms across the country, integrating younger children (enrolling them at the ages of approximately 4-5), targeting children at an early age to learn reading in Arabic and French, expanding French education, including the use of French language as well as French educational model, revising curricula, expanding school enrollment and granting easier access to education. While the current plan may not address all economic , such as the gaps between rural and urban areas, failure to provide marketable skills, and resolving the issue of overcrowded classrooms, it will go a long way toward expanding access to Morocco’s formal education system and improving the country’s persistently low literacy rate. Introducing technology in some of the classroom is the beginning of the visible change in that direction. These reforms complement recent efforts to introduce skill-based training for young people. Such training has been launched as part of three humanitarian projects in Kenitra, and Likewise, these ongoing reforms will help the country to embrace innovation and development in other ways. In April, the Penitentiary and Reintegration Agency gathered the nation’s prison guards for a one-day training workshop that focused on preventing torture in Morocco’s prisons. 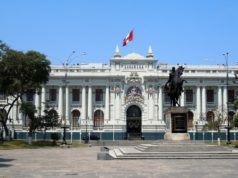 This was a step toward preventing due process violations and cruelty against inmates, welcomed by the United States and other Western partners. King Mohammed VI also introduced a number of Ramadan initiatives, including the opening of the psycho-social center in the region of Mediouana. The opening of the center is part of a four-year program of local development, and it will also serve the larger goals of increasing access to medical services and improving human development. Other Ramadan projects included inaugurating a training center in Rabat and a mosque in Salé. 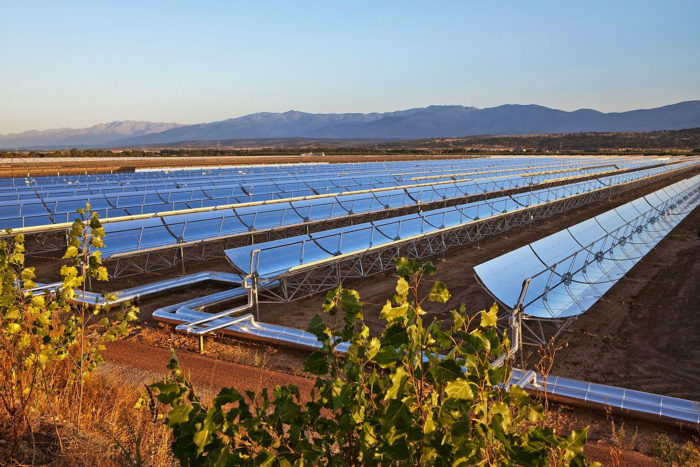 Meanwhile, Morocco is set to launch its first Integrated Health Project in Zenata, a village located near Casablanca that is home to the country’s largest eco-city. The project, launched in partnership with the Saudi-German Hospital Group, is tasked with building a new hospital in line with the city’s vision. This vision emphasizes the importance of considering human development from a social, economic and environmental perspective. This means using sustainable natural resources while also creating jobs and increasing the community’s access to affordable housing. Other efforts are underway, including major infrastructural improvements in major urban areas like Casablanca, Marrakech and Fez. Will this joint effort be slowed down by the latest tensions between Rabat and Riyadh? Morocco saw Saudi Arabia’s open backing of the United 2026 World Cup bid as nothing short of betrayal, due to the aggressive lobbying of states that would likely have otherwise voted for Morocco. Rather than promoting unity among Arab and Muslim states, the head of Saudi Arabia’s General Sports Authority Federation Turki Al Sheikh, created additional discord by making this effort as much as an effort against Morocco as a bid to appeal to the US president Donald Trump. His motivations? Sheikh was upset with Morocco’s warm relationship with Qatar, and claimed that states (presumably including Morocco) should be looking towards Riyadh. He also tied this move to Morocco’s allegedly insufficient presence with the Arab Coalition in Yemen. The final straw was the throwing of parties for high-level officials of various states with an attempt to persuade them to vote against Morocco. This strong-arming backfired, as Rabat perceived such actions and comments as an attack on its national sovereignty and rights to formulate an independent foreign policy, not just a sports-related backstabbing. As al-Sheikh continues to politicize soccer in a failing effort to make Saudi Arabia’s great, the relationship between the two countries soured. When Saudi Arabia lost the first match of the 2018 World Cup to Russia 5-0, Moroccan fans booed Al Sheikh and spared no effort to underscore his humiliation. 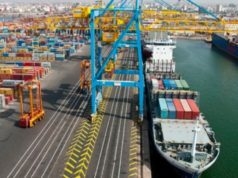 Shortly after, Saudi Arabia called a public emergency meeting to discuss an ongoing attempt to retake the port of Hudeidah in Yemen, a strategic port, which is currently held by Iran-backed Houthis. Due to Houthi tactic of forcing civilians into the center of the city where they are likely to fall easy victims to the fighting, this effort is projected to be a humanitarian disaster. Without it, however, Iran will likely to continue using the port to supply advanced weapons into the country. Morocco sent a strong message to Saudi Arabia by being too busy to attend the meeting, scheduled for June 23.. This fallout happened only a few days after the interior ministers of both countries met in Jeddah, and Saudi Arabia reaffirmed its support for Morocco’s decision to cut ties with Iran and for protection of its national sovereignty and territorial integrity. In light of Al Sheikh’s comments, and lobbying efforts, which revealed themselves to their full extent recently, such affirmations seem at best inconsistent and at worst hypocritical. For that reason, although the two countries had an opportunity to grow closer over a slate of security-related concerns, as well as socioeconomic projects, unless something changes drastically, such efforts may be soon cut short altogether. Some in Moroccan circles are now calling for a complete withdrawal of Moroccan forces from Yemen, and others want to downgrade diplomatic relations between the two countries, which doubtless would not reflect well on the business cooperation either. Morocco, however, is not depenedent on Saudi Arabia for development, and in fact intendes to meet the benchmarks for 2026, putting it in a more competitive position for its 2030 bid, for which Qatar, during a recent phone call with King Mohammed VI, already issues support. This growth in infrastructure is more than just about building new stadiums, and will be sure to benefit various segments of society, besides sports fans. 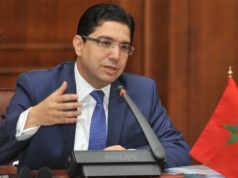 These growth-oriented efforts, which are intended to strengthen the country’s economic core and educational foundation, are part of Morocco’s anti-terrorism strategy, which consists of monitoring mosques for extremism, training imams, and improving social and economic conditions inside the country. To temper extremism in the county, Morocco has also begun training imams in a moderate form of Islam and emphasizing intercultural tolerance and understanding. In doing so, Morocco seeks to create a bulwark against the influence of extremist groups like the Muslim Brotherhood and ISIS without resorting to state-backed ideological enforcement, as Iran has done. However, aside from inoculating its own population against extremist messaging by foreign groups and distortions of Islam by uneducated imams, Morocco is also leading the charge to prevent interventionism, in the shape of extreme education, conversion efforts, and infrastructure subsidies by Iran, Turkey, and terrorist organizations across the region. 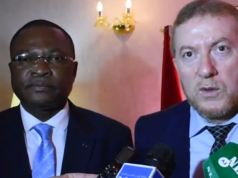 Recently, Morocco and the Congo signed a series of 14 investment agreements in Brazzaville. The agreements came after the First Climate Summit in Brazzaville, which also included Niger, Gabon, and Angola, and during which the two countries reach an understanding with respect to a number of crucial domestic and regional issues. Following Morocco’s reintegration into the African Union, the country has been revamping its image to emphasize its African-ness. King Mohammed VI completed a two-month long tour of Africa, engaging in fruitful visits that led to many further engagements and state visits over the past year. Another recent strategic visit included a Nigerian delegation that came to observe Morocco’s development work in its southern provinces. Nigeria, a Sunni majority country, has suffered under the pressure of jihadist groups. One of them, Boko Haram, has staged a number of mass abductions and suicide attacks in recent years. With Morocco’s help, Nigeria may soon be on track to mobilize education and economic reform as means of protecting its most vulnerable communities from the propaganda of various terrorist organizations, who frequently promise social services in exchange for fealty. Many young Nigerians have joined Morocco’s religions training programs, gaining valuable skills that they can use to help their communities and guard against extremist incursions. However, non-state actors are not the only ones causing destabilization and chaos in developing African countries. Iran has been using armed Shi’a militias to create a state of perpetual warfare and uncertainty in Nigeria and other African countries. At the same time, Iran has made a show of reaching out with “help” in the form of humanitarian aid and ideological influence. Indeed, Iran seems determined to consolidate its hard and soft power across Africa. It has been building Shi’a mosques in West and Central Africa and establishing hospitals, universities and military bases across the continent. Sudan is one of the countries where Iran is looking to create problems for the Saudis, who have been that country’s traditional ally. Creating a Shi’a military contingent in Sudan will not single-handedly ensure the dominance of Tehran’s influence in the country, but it will create additional distractions and will likely lead to local hostilities. In that sense, Iran’s actions will benefit Turkey and Qatar, both of whom have appeared to offer Sudan’s President Omar Bashir additional military and financial aid. Like Morocco, Qatar is looking to develop an independent foreign policy in Africa. For that reason, it finances a number of humanitarian projects in Sudan and elsewhere. And unlike Turkey, which tried to use schools in Morocco to peddle ideological influence, Qatar and Morocco continue taking mutually beneficial steps in upgrading ties in trade, agriculture, and other areas. The reason behind such offers of aid may well be to exacerbate tensions between Sudan, Egypt, and Ethiopia while also distracting Sudan from its relationship with Saudi Arabia, and which indeed irks KSA – which in turn takes out its frustration by attacking Morocco’s relationship with Qatar. These tensions have done nothing to help the local Sudanese population, who is still suffering from massive human rights violations. Rather than enmeshing itself in Middle Eastern conflicts playing themselves out in Africa, Morocco is asserting an independent stand, and focusing on developing positive and constructive relationships which are likely to benefit populations of member states, regardless of other state actors’ geopolitical ambitions. It is in this context that King Mohammed VI’s upcoming visit to Sudan in October will attempt to bring some hope to the troubled country. Sudan has recognized Morocco’s sovereignty over Western Sahara, a thorny issue in Africa. Morocco’s regional rival, Algeria, has embarked on a costly campaign to create discord and promote the Polisario, a separatist group claiming sovereignty for the Sahara, despite Morocco’s historic claims to Western Sahara. This issue is one of the many wedges Algeria has inserted in the African Union, shifting that body’s focus from promoting development, counterterrorism and anticorruption efforts to dealing with the attacks on Morocco by some states. The dispute over the Sahara took on a sinister undertone after recent revelations that Algeria allowed Iranian intelligence agencies to provide the Polisario with advanced weapons. Satellites captured images of Polisario operatives engaging in illegal maneuvers near the border wall with Morocco. Upon further investigation, it was discovered that members of the Polisario had met with Hezbollah operatives. The Hezbollah operatives visited the Tindouf camps in Algeria and trained the Polisario members in urban guerrilla warfare. As a result of these revelations, Morocco severed its diplomatic relationship with Iran. A diplomatic crisis ensued, during the course of which Algeria denied all knowledge of these activities. Morocco’s Foreign Ministry, however, presented evidence of specific dates, names and meetings to substantiate its claim. It’s unclear how far back Algeria’s dealings with Iran and Hezbollah go. 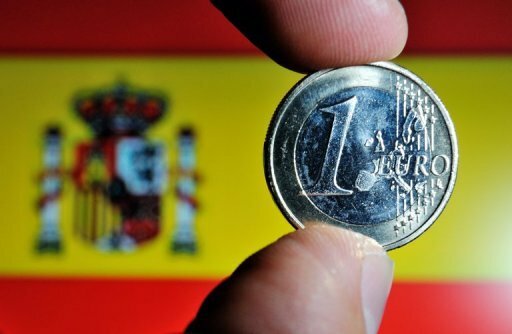 However, it is clear that the involvement of foreign influencers in the long-simmering dispute constitutes a significant change to the status-quo. As a result, the members of the African Union will not only have to contend with Algeria’s direct support for the Polisario, but also with Iran’s involvement and all the attendant international consequences. Sudan’s recognition of Morocco’s sovereignty over Western Sahara is an important and hopeful sign. 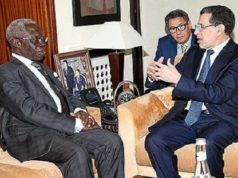 Despite Sudan’s flirtation with foreign investors hostile to Morocco’s interests, such as Turkey, and despite allowing Iran-backed Shi’a militias to operate on its territory, the country may be able to avoid becoming just another pawn in a campaign to destabilize the entire continent. Iran and Turkey’s bellicose moves should be countered on a regional level. Strengthening relations with Morocco, improving the region’s educational outcomes, boosting local economies, and expanding the reach of moderate religious education, would go a long way in achieving that objective. Additionally, it is important to see Morocco’s role as providing support for domestic and regional interests rather than as unnecessarily meddling in local conflicts. During King Mohammed VI’s 2017 trip to South Sudan, for example, he signed nine bilateral treaties. The Moroccan renaissance, which is ultimately a cultural and socioeconomic movement, is capable of rejuvenating even the poorest and most conflicted countries in the region. With Morocco’s leadership, the continent will be able to build strong foundations for the rise of civil society and promote educational and artistic exchange across the region. Morocco likewise recognizes the importance of combining hard and soft power. By doing so, external threats can be prevented from spreading across Africa. Therefore, Morocco recently purchased a contingent of Abrams tanks from the United States, along with jets and other weaponry. These purchases came in response to Algeria’s recent military expenditure. However, Morocco is also looking to form alliances with countries who remain vulnerable to exploitative foreign interference. Most recently, Mauritania summoned the Iranian ambassador to discuss the alleged propagation of Shi’a Islam inside the country, accusing an imam of extreme ideological outreach. As a result, the accused imam was fired. However, Iran disputes the narrative of the course of events, claiming that the meeting with the ambassador was aimed at strengthening bilateral relations. Yet, there is likely more to the story, especially given that summons followed Morocco’s break with Iran and the consequent flurry of diplomatic activity. Mauritania is a particularly vulnerable country, infamous for its corruption and the proliferation of militias and assorted jihadist groups. It is also a country with a history of major human rights abuses, including the ongoing practice of slavery. The Polisario has been implicated in the selling of arms inside Mauritania, which has facilitated the spread of illicit weapons all over the continent. At the same time, Mauritania was one of the countries specifically targeted by Iran’s foreign minister during his 2017 African tour. The minister’s itinerary also included stop-offs in several security-challenged Western African countries, and Morocco’s troubled North African neighbors, Tunisia and Algeria. Iran, meanwhile, has a long history of acting in conjunction with African Hezbollah to sell illegal weaponry in Western and Central Africa, while Mauritania has facilitated the spread of arms and drugs to North Africa. None of these events should be viewed as coincidental. Mauritania has been a thorn in the region’s side for many years and its connections with the Polisario are well known. However, any ideological support for Iran’s spread of Shi’a-Khomeinist ideology threaten to have devastating consequences for the region’s stability. Saudi Arabia has also been leaning heavily on Mauritania. This pressure has led to deteriorating relations with Iran. Mauritania, a nation long mired in poverty, is seeking to benefit from lucrative deals with Tehran, who has been generously supplying impoverished nations with humanitarian aid in exchange for their loyalty. Iran and Algeria have previously denied any involvement with weaponizing Polisario, while Hezbullah accused Morocco of acting out of KSA’s pressure. Nevertheless, the events have transpired differently. Morocco broke with Iran upon discovering its increased involvement along Morocco’s borders, which constituted a serious threat to Morocco’s territorial integrity. Following the public revelation of Iran’s involvement, the Gulf States – including Saudi Arabia – were supportive of Morocco’s drastic steps to curtail Iran’s influence. Morocco has also publicly revealed the extent of Iran’s ideological influence peddling. Saudi Arabia, who has long been active in countering Tehran’s influence in Africa, understands that Iran’s African outreach threatens a strategically located and highly valuable ally. As a result,, the revelations of Iran’s overstep have enhanced relations between Morocco and Saudi Arabia. After all, regional stability is an issue of mutual interest. Saudi Arabia has also actively attempted to counter Iran’s Shi’a influence in Mauritania. Saudi Arabia’s greater involvement in the region comes in the context of a recent German intelligence report. This report demonstrated that Iran continues to seek technology for the production of weapons of mass destruction. Notably, Tehran has purchased uranium in Africa and has likewise engaged in an arms trade, purchasing illicit technologies in its various spheres of influence. However, the incident with Morocco underscored the clear and present danger of Iran’s hegemonic strategy. This danger threatens local Sunni communities and, therefore, must be understood as more than a simple regional rivalry over resources and primacy. All of this began in 2010, when the president of Mauritania visited Tehran. Since then, conversions to Shi’a Islam have risen dramatically in Mauritania. Many of the country’s new converts have traveled outside the country to spread a form of religious ideology that is friendly to Iran’s regional ambitions. At the same time, Morocco and Saudi Arabia may be looking to provide viable alternatives to Iran’s lucrative deals. Whether or not alternative partnerships will come to fruition remains to be seen; however, Mauritania, until recently, has been happy to milk both cows, and little has been done on a regional scale to attenuate Iran’s ideological outreach. King Mohammed VI’s strategy of strengthening relations with African countries may prove useful in that regard. Finally, Morocco has been active in outreach beyond Africa, looking toward the Middle East. Morocco has accepted a number of Syrian refugees and King Mohammed VI recently sent humanitarian aid to Gaza, Ramallah and East Jerusalem. The aid packages were provided by the king’s charitable foundation and consisted of food, medical aid, blankets and other basic necessities. The significance of this move cannot be underestimated. In demonstrating his support for the Palestinians, the king has also sought to avoid the misuse of financial aid by corrupt third-party agencies, such as the Muslim Brotherhood proxies, or by state actors, such as Iran or Turkey, who have used humanitarian aid to the region as a way of promoting radicalism and further inciting and fueling tensions. By giving directly to the people, King Mohammed VI fulfilled his country’s responsibility while addressing concerns about the limited oversight that can lead to aid being diverted for other purposes. His example is a good model for other governments to follow and will help counter outreach by malevolent parties. Hopefully, Morocco’s leadership will help spearhead social and economic reforms across the region. By bringing together artists and thinkers from all over the world, a better and more prosperous future may be secured for Africa, the Middle East and Europe – the three continents whose cultures and traditions formed Morocco’s diverse and multifaceted identity and which now all stand to benefit from the Moroccan renaissance.